Motofix est. 2006 recently moved into premises near Otley Town Centre. In our larger improved motorcycle repair facility we offer the same reliable and cost effective service. Whilst we mainly deal with Japanese and European Road bikes we offer all of our services for most bikes using only quality pattern parts, OE parts can be fitted at your request. Dave West aka “Baldrick” has been riding bikes for 15 years and repairing them for even longer. His passion for motorbikes has seen him spend the last 5 years as a motorcycle instructor as well as a mechanic, renowned for organizing his own road and off road motorcycle trips to Spain, France, Southern Ireland, Morocco and Iceland. 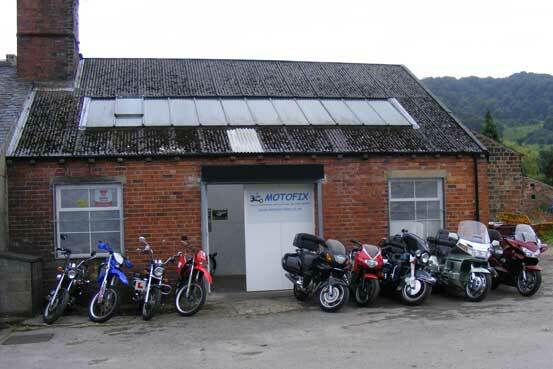 Motofix will see Baldrick devoting all of his time to looking after your bike.